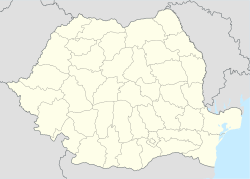 Oarța de Jos (Hungarian: Alsóvárca) is a commune in Maramureș County, Romania. It is composed of three villages: Oarța de Jos, Oarța de Sus (Felsővárca) and Orțița (Középvárca). The Oarța River flows through the commune's three villages. This page was last edited on 22 October 2017, at 20:25 (UTC).